To counter Apple, Samsung in high-end smartphone market, HTC One E9 Plus featuring Octa-core SoC, 5.5”-inch qHD display, 20-MP +4-UltraPixel camera finally launched in Indian market priced at Rs 36,790 in Classic Rose Gold, Meteor Gray, and Gold Sepia colour variant. HTC has recently launched HTC M9 Plus priced at Rs. 52,500. The all new HTC One E9 Plus supports Dual-SIM(GSM+GSM), Nano SIM with 4G (FDD and TD-LTE), Wi-Fi, Bluetooth 4.1, GPS/ A-GPS and NFC offer you a bigger 5.5-inch qHD (1440×2560 pixels) display with Corning Gorilla Glass 4 delivers stunning color consistency from almost any angle perfect for watching movies, playing games and reading e-books. HTC One E9 Plus runs on Android 5.0 Lollipop with HTC Sense 7.0 skinned on top powered by 64-bit 2.0 GHz octa-core MediaTek MT6795 processor promising superior gaming environment and blazing multi-tasking while 2GB of RAM, 16GB Internal memory expandable up to 128GB via MicroSD card offers enough space to store your date. HTC One E9 Plus sporting a 20-MP Primary camera with LED flash, f/2.2 lens and BSI sensor and 4-UltraPixel front-facing camera offers you the best video calling experience and clicking selfies. It also packed with a 2800mAh battery promising enhanced battery life including HTC BoomSound speakers and Bluetooth 4 measures 156.5×76.5×7.49mm and weight 150gm. 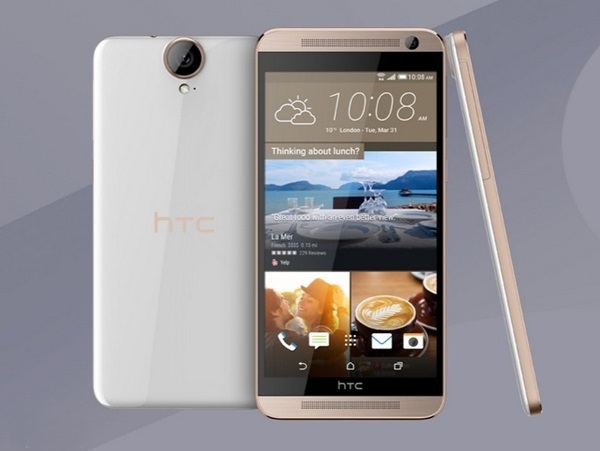 At last few honest word from heart that HTC One E9 Plus is coming to convert your dream into reality. What you think? Please be open to give your view.